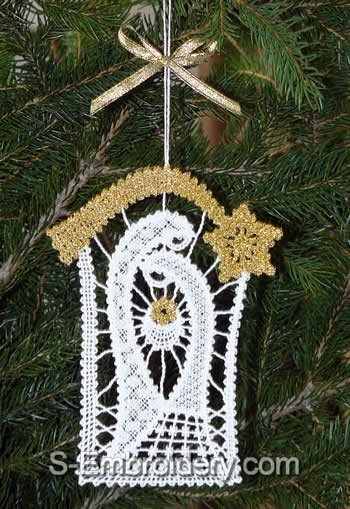 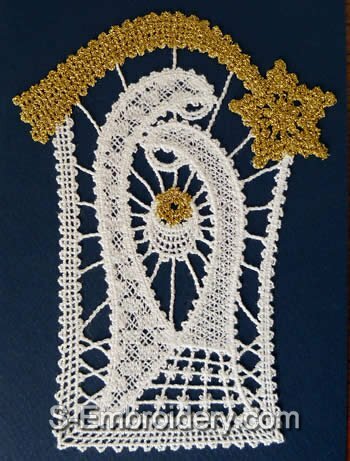 This elegant Nativity Battenburg lace machine embroidery design comes in 2 versions - one Christmas tree ornament with a loop (stitches out with the design) and a Nativity Christmas ornament for decorating your Christmas greeting cards. 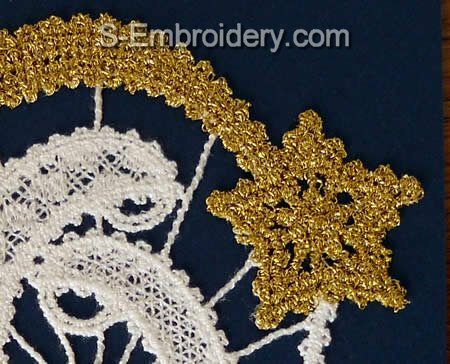 You receive 2 machine embroidery files as well as design information and instructions for stitching out and usage in PDF format. 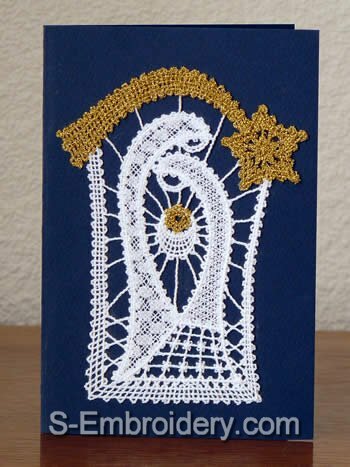 In our Machine embroidery projects gallery of our customers you will find a perfect example of a beautiful Christmas card, created with this embroidery design.